Over more than three decades, Andrew V. Tramont has successfully represented both plaintiffs and defendants, securing favorable verdicts and settlements in numerous multi-million dollar actions in state and federal courts and arbitration forums throughout the United States. As plaintiffs' counsel, he has recovered tens of millions from accounting firms in audit malpractice cases, including a $14.5 million verdict in Mississippi federal court against accounting giant Ernst & Young after a one month jury trial, which was affirmed by the United States Court of Appeals for the Fifth Circuit. His insurance litigation practice includes victories and successful settlements on claims of bad faith and failure to defend, and claims of breach of contract based on the refusal of insurance companies to honor life insurance policies. Mr. Tramont has also represented clients in major property and casualty litigation arising from hurricane disasters and other forms of property damage, obtaining verdicts for those clients at the trial and appellate levels. Mr. Tramont has been named a “Top Attorney in Florida” by the Miami Herald, Tampa Bay Magazine and Orlando Life Magazine, a “Top Rated Lawyer – Insurance Law” by the American Lawyer Magazine, and a “Super Lawyer in Insurance Coverage” by Super Lawyers Magazine. He is designated “AV/Preeminent” by Martindale-Hubbell, that rating organization’s highest level of professional excellence and ethical standards, and “10 out of 10 – Superb” by AVVO. In addition to heading up the firm's Insurance Practices section, Mr. Tramont advocates on behalf of investors in securities litigation and FINRA arbitrations nationwide. His successes in that area include the recovery of $3 Million from Citigroup/Smith Barney for an elderly investor following an eight day FINRA arbitration hearing in California, and a multi-million dollar settlement on behalf of 220 clients following the prosecution of multiple securities cases in FINRA and the state and federal courts of Florida. Mr. Tramont also represents clients in discrimination cases, in which he has successfully prosecuted and defended wrongful termination and housing discrimination actions in federal and state court involving claims of gender, disability, and racial bias, and breach of the worker compensation laws. A former law clerk for the Chief Judge of the United States Bankruptcy Court for the Western District of New York, he has represented insurance companies and other financial institutions in large bankruptcy cases throughout the country. In addition to his trial practice, Mr. Tramont is an arbitrator for the American Arbitration Association. Mr. Tramont is licensed to practice in New York, Florida, Illinois, Missouri and Wyoming. 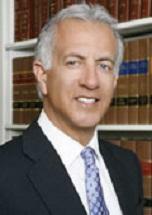 He is active in a number of state and federal bar organizations. He is a member of the American Bar Association’s “Tort, Trial and Insurances Practices Section,” and the New York Bar’s “Trial Lawyers Section.” He currently sits on the Florida Bar's Professional Ethics Committee and previously served as chair of the Florida Bar's Judicial Administration and Evaluation Committee and as a member of The Florida Bar's Professionalism Committee. He is active in the pro bono area, representing indigent litigants in cases involving the violation of their federal and state civil rights.